Artificial grass is increasingly becoming a favorite alternative to natural grass, especially in urban spaces. Several years back it burst upon the commercial scene as sports grass; today, there are a lot of brands aggressively promoting it with their improved technology and innovative marketing. It is now everywhere, from aesthetically decorated homes to prestigious schools. Before joining the fray, it is important that you should carefully consider both the pros and cons of artificial grass vis a vis natural grass. What is artificial grass (or fake grass)? 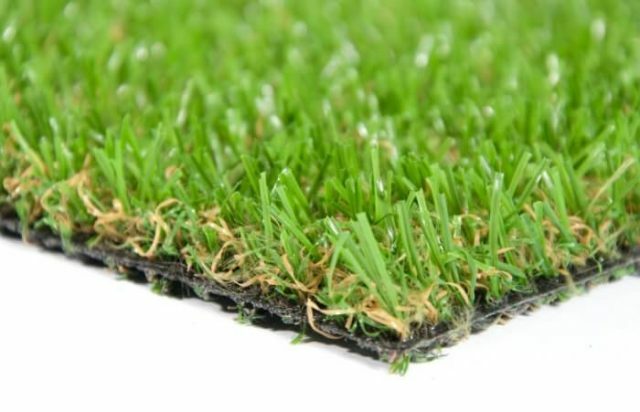 Usually made of polyethylene plastic, artificial grass is used to construct turfs. It has an in-fill base made of ‘crumb rubber’ which comes from ground-up recycled tires. It consists of filaments inserted into a backing on a drainage layer usually made of compacted gravel which is fastened along the perimeter to let water permeate through it. The backing is then filled with the recycled crumb rubber, or with sand, in order to prevent being blown away by a wind. Artificial grass comes in all lengthsand colors. To make the grass look real, many brands use a thatch layer. Fake grass is usually made of nylon, polypropylene or polyethylene with different colors to simulate different species. Sports turfs- This is where artificial grass started. It is extremely sturdy and long-lasting, does not create potholes on the field by coming off the soil, requires low maintenance and stays put for a long, long time. Lawns- An ideal choice for those who do not want to or cannot spend much on maintaining their lawns or yards. Pet and children friendly, and also popular among the elderly. Roof gardens- It is a preferred choice when the roof is not strong enough for a natural turf. Swimming pools- As there is no mud and ruts from sun loungers involved, artificial grass is a preferred choice as cover beyond the ‘splash back’ area. Dog runs- Thanks to its easy maintenance and softness under paws, it is fast becoming a favorite at the dog kennels. Event management- Artificial grass is becoming very popular in urban spaces where there are large gatherings of people. The initial cost of implementing artificial grass is really very high. Depending on the specifications and quality, on an average,it costs anything from $5 to $20 per square foot. This is really very high when compared to professionally laid sod, which starts with 14 cents and can go up to 60 cents per square foot at the most. But before jumping to hasty conclusions, understand that maintenance of natural sod, considering all the factors like watering, fertilizing and mowing, usually runs over $800 per year. So you can recover the cost of your initial investment on artificial grass of high quality after around 7 years, which is okay because an artificial turf does not need to be replaced in 15 to 20 years! According to the Southern Nevada Authority, a homeowner can save around 55 gallons of water annually per square foot of natural grass when replaced with artificial grass. That is a LOTofmoney. For an artificial turf, all you need is a generous and thorough hosing now and then to get rid of debris. Also, some water companies in dry areas offer a rebate of up to $1 per square foot if the owner decides to switch to artificial grass. It is really hard to choose between the two as both have strong pros and cons behind them. For example, while artificial grass is being hailed as an environmental savior by the proponents, many are also concerned about the severe damage that it causes to the soil and its organisms. Not supervised well enough during manufacture, artificial grass can be a major health menace. Also, as this type of grass lacks absorbing capabilities, there is the new problem of urban flooding- something unthinkable with natural grass which retains moisture and helps in water percolation. Yet, there are a lot of advantages as well. It is better to consider everything very carefully in order to make an informed choice. Choosing artificial grass over natural grass can leave you with up to 70% savings on your water bills, a highly significant amount especially if you are living in a hot region. This is all the more important in the face of the rising water crisis. In the US,watering the lawn occupies a significant level of the total water consumption. While the cost of initial installation for artificial grass maybe much higher than that of natural grass, you can easily recover that within a period of three to four years. It does not take much to maintain artificial turf, as you can easily skip the regular and tedious routine of mowing, watering and replacing. This, in turn, saves a lot of money as you don’t need to buy those heavy and costly machines and chemicals anymore. These also make artificial grass a good choice for the elderly and the chronically unwell. As the artificial grass is much softer than natural grass on hands and knees, it is a great option for a playing surface. Unlike natural grass, this does not get torn up after rough usage to form big slippery patches of mud leading to injuries like twisted ankles, wounds, and the like. It also happens to be hypoallergenic, meaning that people, especially children, and pets who are prone to hay fever can enjoy without triggering off their allergy. As it cannot be dug up and is very soft on the paws, it is a top choice for dog kennels. Some of the artificial grass brands have perforated backing for urine to flow through. It is very easy to clean, eliminating the usual trouble with muddy paws on your sheets. Thanks to its synthetic texture, it is easier to pick up pet poo as compared to natural grass, where bits get stuck. There is a misconception that pets are not keen on artificial grass. Here is a list of reasons why artificial grass is a good option for your pets, especially dogs. Pets adapt really well to artificial grass. 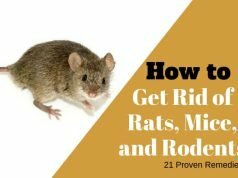 It is really durable, and your pet would be comfortable on it, doing all sorts of things like sunbathing on his special spot or kicking up his legs. 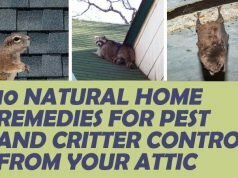 It is especially good for small dogs, as small legs often have problems in dealing with overgrown grass, or with the creatures that come with it. Grass of the right size can be less intimidating and can persuade a tiny dog to get out more. Very easy to clean dog poop. Shock pad is not good for pets because while the cushioning surface is okay for absorbing shock when children fall on it, the foam layer is designed to drain only rainwater but not urine. So traces accumulate over time to give off a really foul smell. While a landlord may care a lot about the lawn for aesthetic reasons, tenants maybe apprehensive due to the extra costs and effort needed to clean stuff that is not their own. So, artificial lawn automatically becomes an easy solution for both the parties. Artificial grass should also be easy for you if you are a person remaining away from home for long periods of time. You don’t have to come back home to yellowing and dead grass, or an overgrown jungle, to remind you of the amount of money you have to spend to make your lawn look habitable. You can do a lot of activities on synthetic grass in addition to those you can normally do on natural grass. Its durability and texture and easy maintenance make it a prime choice among urban property holders with space constraints who look to maximize their event spaces, especially in location shaving limitations on water usage. Artificial grass means no longer getting roasted by the sun while mowing or watering your lawn. Also, the long winter months accompanied by snow cause extensive damage to natural grass which then requires added care and re-leveling to bring it back to its original condition. This also makes artificial grass ideal for playing fields which can be used unimpeded during rain and snow. Lead is an extremely dangerous chemical which can cause anything from mental retardation to physical deformities like stunted growth, and even death. The Consumer Union is of the opinion that there is no safe level of lead, and the Academy of Pediatrics says that lead levels in the soil should not be higher than 40 parts per million. According to the U. S. Centers for Disease Control, all non-essential uses of lead should be stopped as it is especially bad for children. Older turfs made of nylon compounds have been found to have dangerous levels of lead. Artificial turf made only of polyethylene is a much better option. Lead is often used to brighten the color of the artificial fiber and for painting logos. Field Turf, which is the largest manufacturer of artificial turf in North America, makes lead-free turf only if asked to do so. A 2007 study by researchers at the Connecticut agricultural experiment station found dangerously high amounts of zinc which could leach into the water from the washing of ‘crumb rubber’. Zinc is a known hazardous compound. For example, a University of North Carolina study found continued exposure to zinc to be the reason behind cardiovascular damage. While the supporters of artificial turf say that the hottest times of the day can be easily avoided on artificial grass, it becomes difficult during scheduled events. Artificial grass has high heat absorbing capabilities, which can make its temperature as high as 120 degrees when the average temperature of the day is 90 degrees. A study conducted by Brigham Young University found the surface temperature of a football practice field to be 37 degrees higher than the air temperature! While artificial grass is very easy to clean, many tend to skip regular cleaning because of its low maintenance requirements. As a result, organic stuff like sweat, blood and skin cells end up being accumulated within the fibers, which otherwise would not have been of much consequence in natural grass. Reports have found bacteria like staphylococci to survive on the polyethylene plastic for periods longer than 90 days, making the artificial turf an actual breeding ground for pathogens. With artificial grass, there is always the risk of the run-off after a heavy rain contain extremely dangerous substances like zinc and lead which may end up contaminating the community’s chief source of water below or above ground. In addition, this run-off can also be responsible for the spread of infections from the germs that had been accumulating in the turf. For these reasons, regular and thorough cleaning and implementation of toxin-free grass are of primary importance. Those suffering from asthma can experience hell, because of the minute dust particles of the ground-up tires from which the artificial grass fibers are made. Toxin accumulation too plays a large part in this. You need to opt for artificial grass after a lot of thinking because once you plant plastic grass fibres on the soil, they would kill off every living organism in the subsoil, thus making it impossible for anything to grow there without years and years of soil remediation. So replacements have to happen with artificial turfs only. Because of this, you need to carefully think it through and select the plot well. Yes, it can be really confusing. What you finally settle for should be based on your requirements, your lifestyle, and the chief factors motivating your thoughts. You can always seek expert advice before deciding on something as permanent as artificial grass.